The Summertime Thematic Unit is a 182 (total) page unit for use in a home, classroom, or center setting with Preschool and Kindergarten students/children. The unit includes FOUR themes in one: Bubbles, General Summer, Beach, and Patriotic Themes. 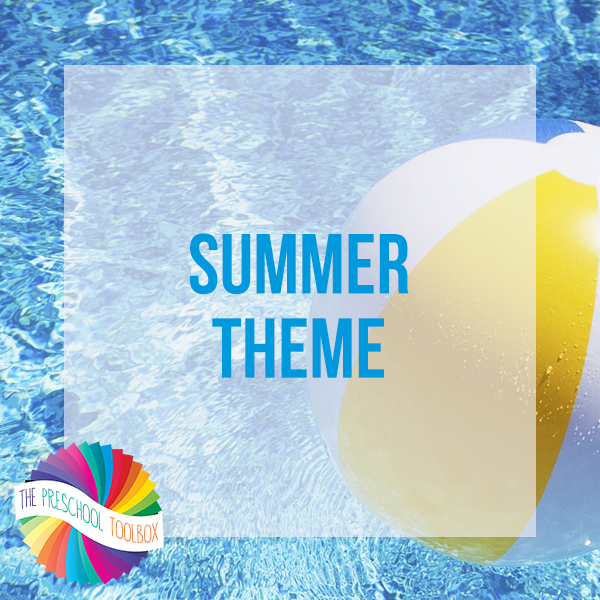 If you plan to use the summertime theme to accompany core studies and playful learning, you will have many activities left for “new” units the following year. This theme includes playful learning activities for math, science, and literacy as well as numerous songs, poems, art and crafts activities, gross motor ideas, food/food crafts, dramatic play, and book suggestions. A 53 page instructional manual serves as a guide with detailed instructions/photos for games, projects, and activities. There are 5 Power Point presentations and 47 activity files (some with numerous pages for differentiated learning) that are ready to download and print. Suggestions for younger or slightly older children are given where possible. Copyright ©The Preschool Toolbox. All rights reserved by authors. This product is to be used by the original downloader only. Copying for more than one teacher, classroom, department, school, or school system is prohibited. This product may not be distributed or displayed digitally for public view. Failure to comply is a copyright infringement and a violation of the Digital Millennium Copyright Act (DMCA). Clipart and elements found in this PDF are copyrighted and cannot be extracted and used outside of this file without permission or license. Intended for classroom and personal use ONLY.